This historic convention will be held at the Radisson Airport Hotel on the Rochester Institute of Technology campus. It is walking distance to Park Point at RIT, an area with dining and entertainment. An informal reception will be held at the hotel bar on the evening of Friday, May 3. For those arriving Friday evening, this is a fantastic time to meet and hang out with fellow Libertarians from across the state. Saturday, May 4 will feature the main events of the convention. In addition to the business session, there will be a number of workshops on various topics, including, but not limited to campaigning, fundraising, outreach, media, growing your local affiliate, and others. Larry Sharpe, our 2018 candidate for Governor of New York, will be our lunch speaker on Saturday. On Saturday evening, we will have a Taste of Rochester Tour. 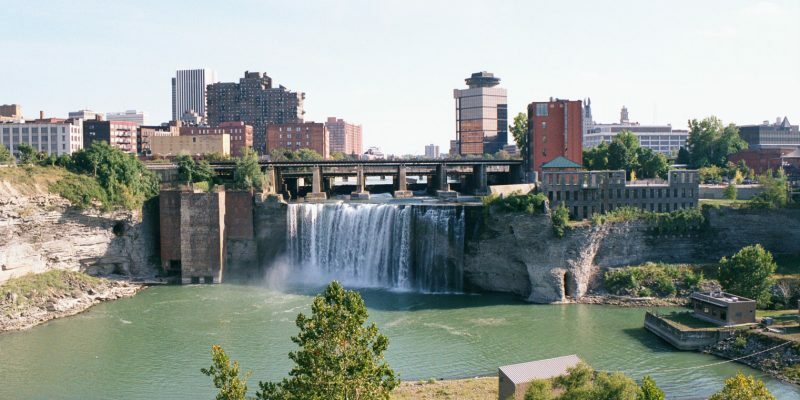 Experience a taste of Rochester’s food and culture. The State Committee meeting will be held on the morning of Sunday, May 5. Not only is this a historic convention, it is also a highly affordable one in order to accommodate the maximum amount of people. Come join us on this historic occasion, as we enter the next chapter of our party’s history! The business session is free for LPNY members. We have obtained a discount rate for the hotel at $95 per night. To obtain this discount rate, book your room by clicking here. More details on the convention and a final agenda will be released as we get closer to the event! Check the LPNY website here for updates.